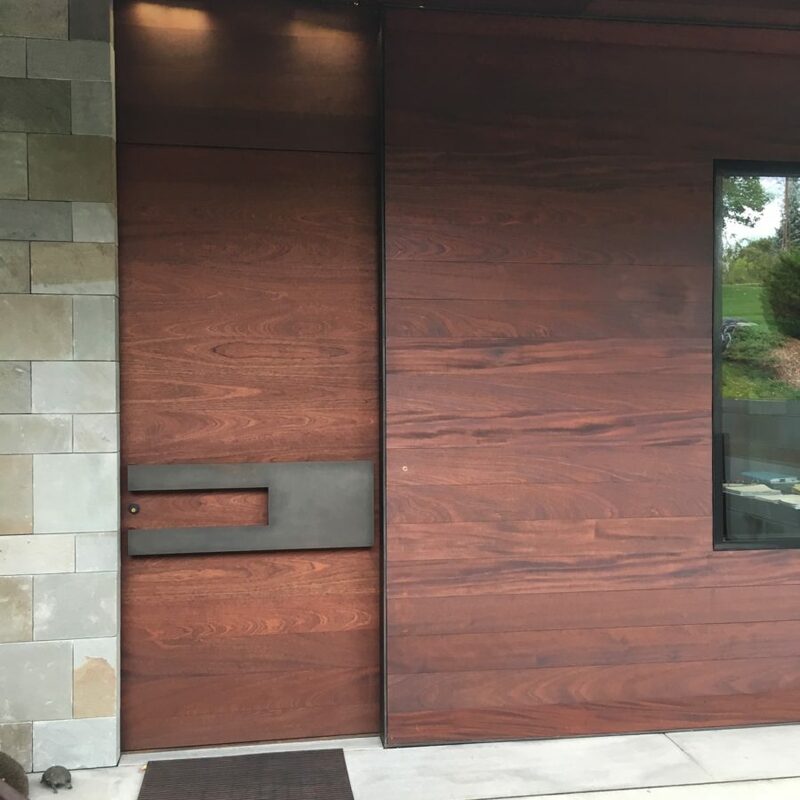 Custom pivot door is the pièce de résistance for the front of this modern home. Art collection shows through custom window like a gallery case. 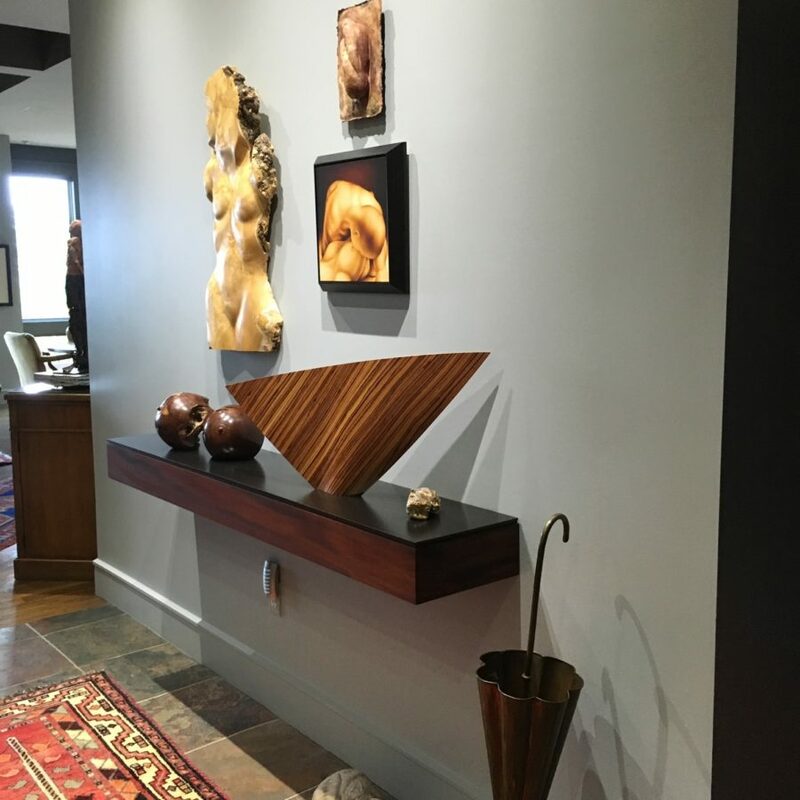 We built this custom floating shelf for the display of the home owner's sculptures. This project was done for a remodel of a home off Town Mountain Road in Asheville. The homeowner had a remarkable collection of contemporary art and crafts, and wanted to showcase it in this modern home. 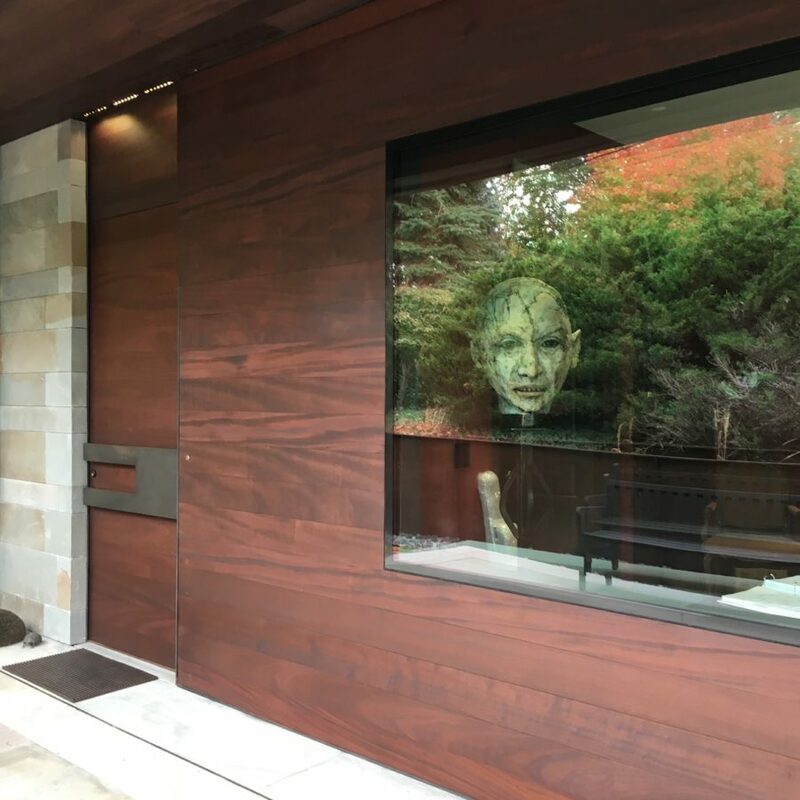 We built the pivot entrance door and side panel from horizontal Sapele slats, which has a showcase picture window that frames artwork to be seen as you approach the house. It’s really an extraordinary effect on the design of the house. Inside, we created a floating wood shelf for the display of more sculptures.